Dr. Wilbur H. (Bill) Highleyman brings more than 40 years experience in the design and implementation of mission-critical computer systems. He has published extensively on availability, performance, testing, and middleware issues. He is the author of “Performance Analysis of Transaction Processing Systems” published by Prentice-Hall, and is co-author of the three-volume series, “Breaking the Availability Barrier.” Dr. Highleyman is the Managing Editor of the monthly Availability Digest (www.availabilitydigest.com) that focuses on topics related to continuous availability. He holds several patents, including those in the areas of data replication and active/active systems. A past chair of ITUG, he is a graduate of Rensselaer Polytechnic Institute and MIT and earned his doctorate degree in electrical engineering from Polytechnic Institute of Brooklyn. Contact Bill Highleyman. Dr. Bruce D. Holenstein is President and CEO of Gravic, Inc. Gravic’s Shadowbase software supports many of the architectures described in this book and operates on systems such as UNIX, Windows, NonStop and other platforms running databases including Oracle, Sybase, DB/2, and SQL/MP. Dr. Holenstein began his career in software development in 1980 on a Tandem NonStop I. His fields of expertise include algorithms, mathematical modeling, availability architectures, data replication, pattern recognition systems, process control, and turnkey software. Dr. Holenstein earned his undergraduate degree in Electrical Engineering from Bucknell University and his doctorate from the University of Pennsylvania. Dr. Holenstein has co-founded and run three successful companies and holds patents in the field of data replication. Contact Bruce Holenstein. 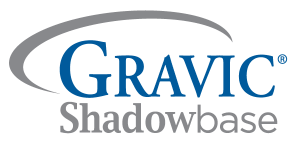 Paul J. Holenstein is Executive Vice President of Gravic, Inc., the makers of the Shadowbase line of data replication products. Shadowbase is a real-time data replication engine that provides business continuity (disaster recovery and active/active architectures) as well as heterogeneous data transfer. Mr. Holenstein has more than twenty-nine years of experience providing architectural designs, implementations, and turnkey application development solutions on a variety of UNIX, Windows, and VMS platforms, with his HPE NonStop (Tandem) experience dating back to the NonStop I days. He was previously President of Compucon Services Corporation, a turnkey software consultancy. Mr. Holenstein’s areas of expertise include high-availability designs, data replication technologies, disaster recovery planning, heterogeneous application and data integration, communications, and performance analysis. Mr. Holenstein, an HPE-certified Master Accredited Systems Engineer (MASE), earned his undergraduate degree in computer engineering from Bucknell University and a master’s degree in computer science from Villanova University. He has co-founded two successful companies and holds patents in the field of data replication and continuous availability architectures. Contact Paul Holenstein.